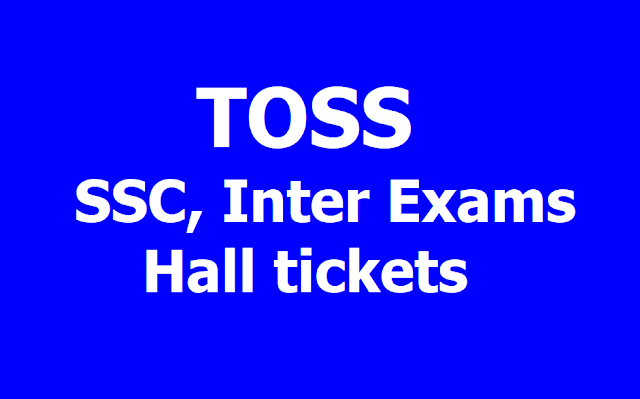 TOSS Telangana Open School Hall tickets: TS Open School SSC and Inter hall tickets are released and Direct link provided for TOSS Hall tickets downloading The Telangana Open School Society (TOSS) has released the hall tickets for SSC and Intermediate exams 2019 on its official website. The candidates who have applied for the SSC and Intermediate exam 2019 can visit the official website of TOSS - telanganaopenschool.org to check and download their hall tickets. The exam for SSC and Intermediate would be conducted from April 24 to May 6, 2019. Candidates can obtain their TOSS SSC and Intermediate hall tickets either from the official website or from the direct link provided below.